This I-RH is a larger stage by Line Tool Company, with the top measuring 3" X 3" and a height of 2-1/4". Ball-bearing slides on both axes, and 1" travel. This very high quality precision stage is able to handle higher loads than the model A's. 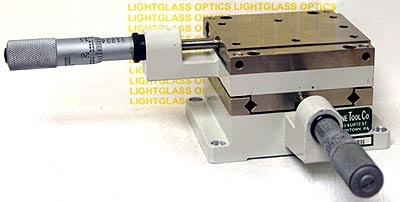 Micrometer Actuators included in the price.